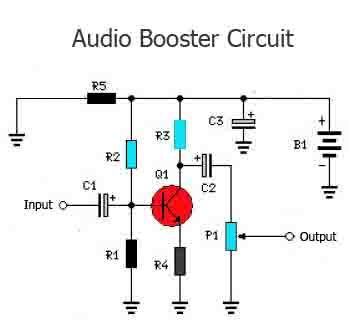 The values of the circuit diagram present a response of ±3.0 dB from about 120 Hz to higher than 20,000 Hz.In fact, the frequency response is ruler flat starting from about 170 Hz to more than 20,000 Hz; it's the low end that deviates from a flat frequency response. The low end's roll-off is primarily a function of capacitor C1(since RI's resistive value is fixed). If C1's value is replaced to 0.1 pF, the low end's comer frequency-the frequency at which the low-end roll-off starts-is reduced to about 70 Hz. In the event you want an even deeper low-end roll-off, change C1 to a 1.0 pF capacitor; if it is an electrolytic type, make particular that it is installed into the circuit with the proper polarity, using the positive terminal connected to Q1's base terminal.